Our car dealers near Louisville, KY aren’t just here to help you when you are looking to purchase one of our new Mitsubishi cars for sale. Any time you contact or visit us Mitsubishi Store Clarksville, our goal is to be your resource for all vehicle-related questions. We want to equip you with the knowledge you need to maintain your vehicle long after you’ve driven it off of our lot. One area in which we receive many questions is proper car care. Although it can be tempting to put off important service appointments, there are numerous reasons to regularly take your car in to our Clarksville Mitsubishi dealers. Busy schedules and other time constraints can easily cause you to delay making a needed service appointment. 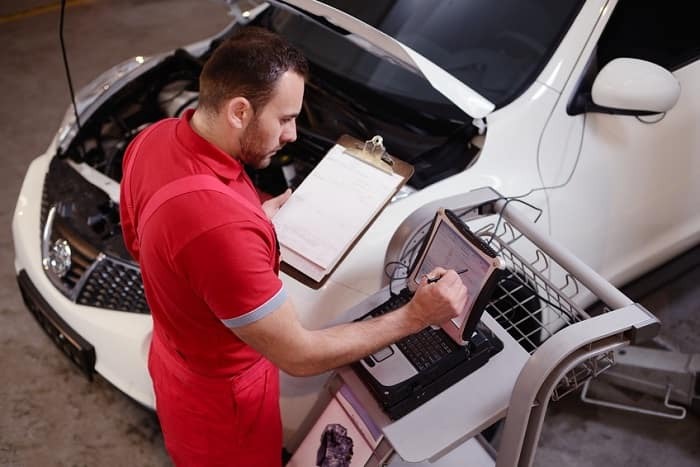 However, whether you need an oil change, a filter replacement, or new tires, prioritizing regular vehicle maintenance should be of top importance. Why? First and foremost, the safety of you and your passengers depends on it. Worn tire tread, improperly functioning windshield wipers, and other neglected maintenance items can quickly create a hazardous situation. Improper car care can also lead to expensive repairs that are 100% preventable. When you take the time to keep your vehicle on a regular maintenance schedule, you are ensuring that your vehicle will be preserved for as long as possible. When you choose our Mitsubishi service center in Clarksville, IN over other service centers, you can expect to receive the highest level of care. From the moment you make your appointment with us, we make it easy to reserve a time that works best for you. Any time you need to book an appointment with us, you can do so 24/7 on our website. Upon your arrival, we strive to make your wait time stress-free. From our convenient waiting area, to our shuttle service and low prices on rental cars, you can choose the option that works best for you. Need to ask us a question about your vehicle’s maintenance right away? Contact our nearby Mitsubishi dealers today!